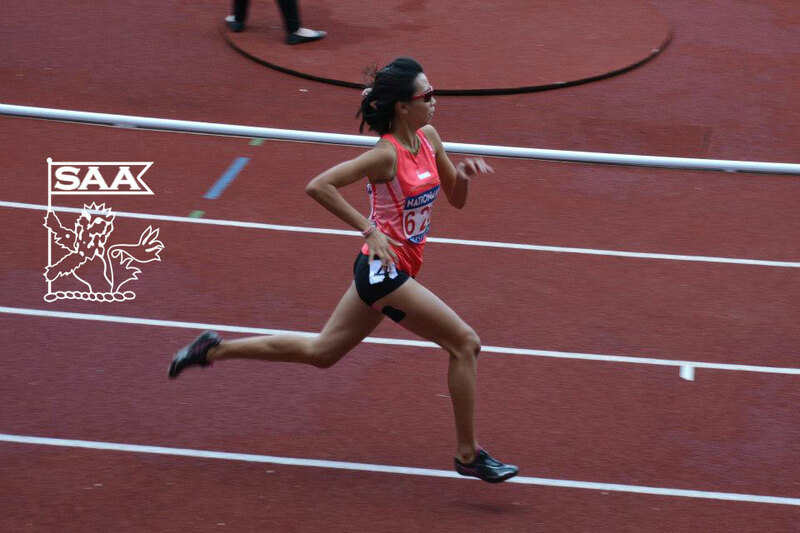 Goh Chui Ling will be representing Singapore in the Women 400 Meter Dash Open at the 76th Singapore Open Track & Field Championships 2014. Here’s is her profile awareness of our selected National Athletes for the competition. Preparation has been intense the past few months! Including Heptathlon training, I’ve been training up to 8 times a week! Right now, I’m tapering so lots of sleep for me this week. I hope to do a personal best for my 400m individual race. With the competition from the foreign athletes, I hope to push myself further in preparation for Asian Games! I look up to my coach (Mr Melvin Tan) quite a lot. Other than being my coach, he supports and encourages me mentally and spiritually. Mr Tan is an inspiration to many I know. I started high jump in Macpherson Secondary School and transited to 400m in Hwa Chong Junior College. I wanted to run ever since I won all my male classmates in 1.6km in Primary 4, hehe.